A couple of gems from the IAVCEI 2013 conference in Kagoshima. Firstly, volcanic ash fall is so common in the city that where most cities have trash collection points, the government here has also set up ASH collection points. 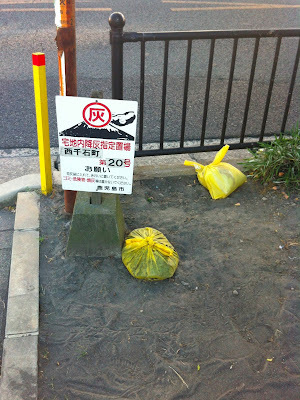 Residents bag ash on their property and leave it here to be taken away. Ash is prevelant everywhere, staining the roofs of people's cars and in all the little nooks and crannies on the streets. Kagoshima is famous not only for its resident volcano, but also for black pork, beef and sweet potatoes. 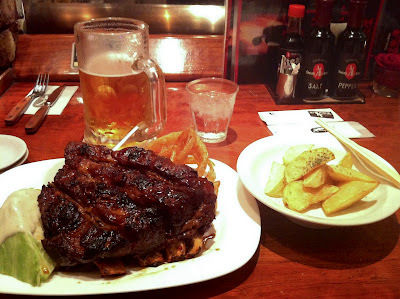 I visited a steakhouse and paid for the Kagoshima Black Pork Spare Ribs. 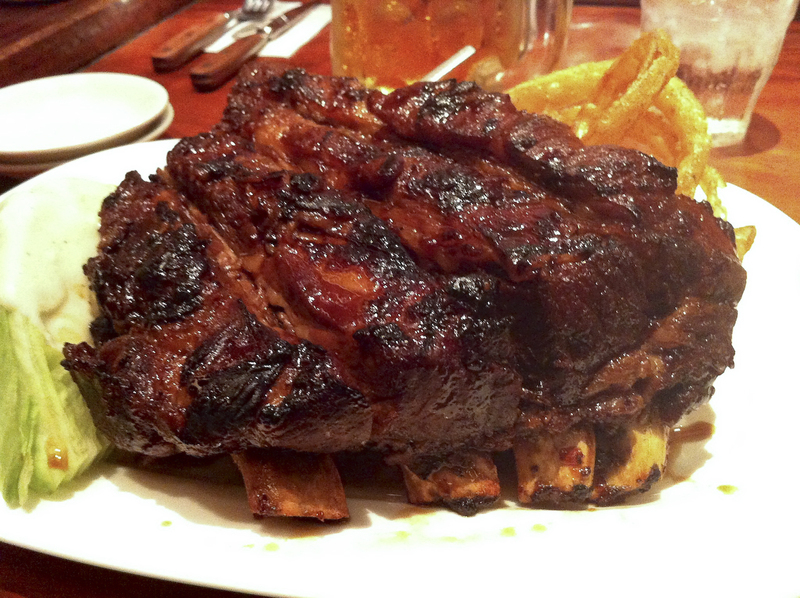 Some meals are special; this was utterly transcendent. Without a doubt one of the top 3 meals I've ever eaten. Also, and somewhat hilariously, a 'medium' beer turned out to be 800ml. I was hungry after a day of working registration at IAVCEI. No more! I realise I haven't mentioned the conference at all, but that's because I'm helping out with the organisation at the moment (and again tomorrow). Aside from running into several people I know from years past, not much has happened. I'll be engaging in the symposiums on 23rd and 24th, so that's when the real action will happen.